Goodness me, how time flies! 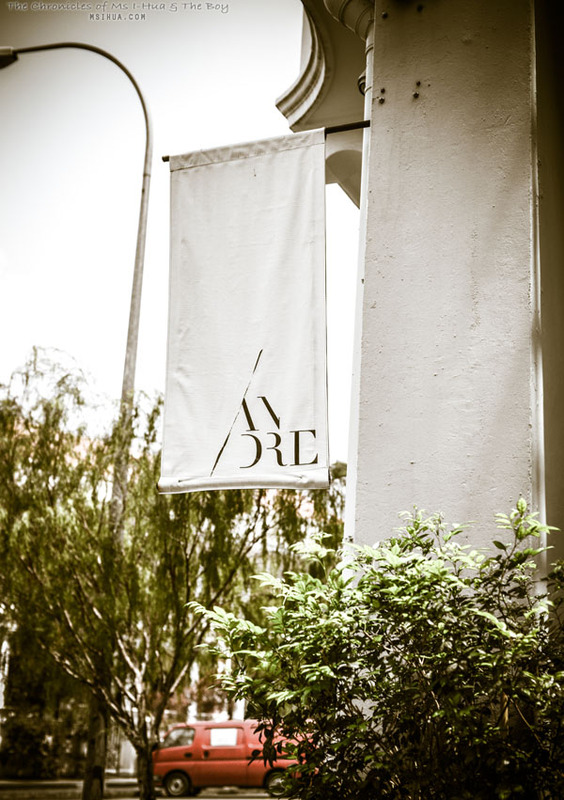 It’s been almost a year since we visited Singapore and Restaurant André and I have yet to post about our experiences here. To be honest, the reason for me putting this off for so long wasn’t because that we weren’t impressed with Singapore’s top restaurant. It was the exact opposite. 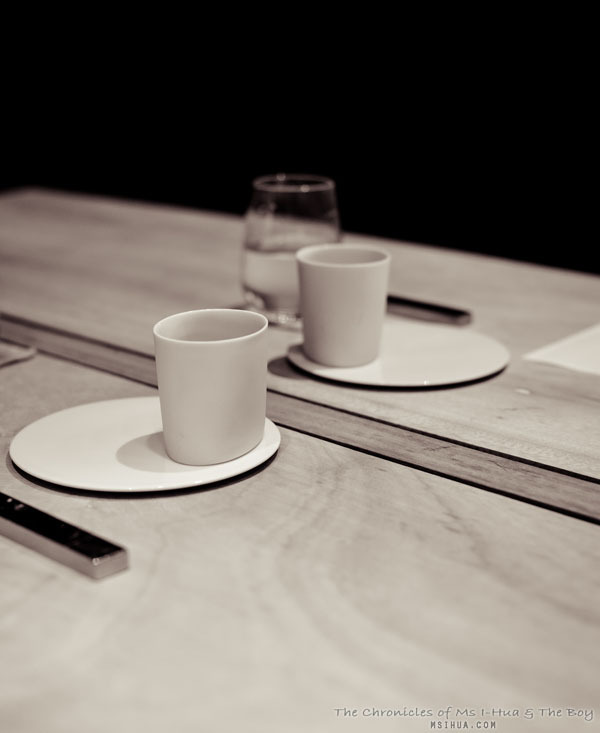 We were completely blown away by the quality of the food and the dedication of its chef, Andre Chiang. I’ve been putting it off because I’ve been too afraid to write about it, in case I did not do the reflection justice. Another reason was because I had such a hard experience in trying to make a reservation at this restaurant that I nearly gave up and had a meltdown. 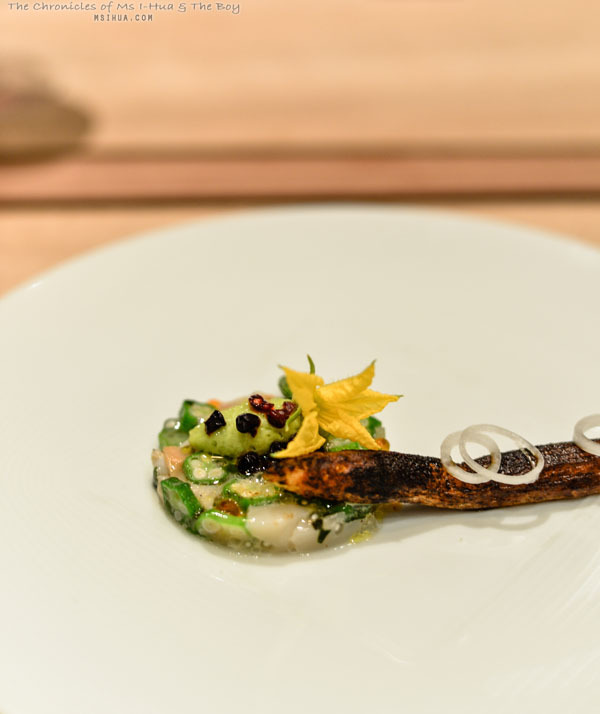 So how do you go about writing about one of the best food experiences of the year (2014) and at the same time, one of the worst experiences about getting there? Honestly I suppose. So I do hope you forgive me for taking so long to put my thoughts into words. Usually, making reservations to a restaurant is as simple as ABC. You either ring or email with your required date/time and the restaurant sorts everything out for you. Worst case scenario, they make you go through an online booking system, which also works relatively well. Pick the date, number of people attending, time and voila, booking confirmed! Such is not the case when we tried to make a booking with Restaurant Andre. If there ever was a reality television show made to feature “worst restaurants reservation systems ever”, this restaurant would certainly make it into it. It all started when I tried their online reservation system. Then I followed with emails as no confirmations were ever returned. So thanks to Instagram, I had a lovely contact (a prominent and well-known food personality in Singapore) who tried to ring and confirm the reservation for me. Then the manager at Andre finally returned my email correspondence with a booking form with a 72 hour cancellation should the form not be returned. This, I quickly filled in and returned and once again heard nothing. So I sent the form through again and after a few days, finally received the confirmation but they had said that none of the information required was received (strange since everything was on the booking form). So my contact rang them and they promptly responded to her again and informed her that their emails have been unmanageable but everything would be taken care off. I even received a confirmation email! Long story short, when we finally arrived in Penang (remember that this was part of our whirlwind #eatingfest trip; MEL-> KUL -> PEN -> SIN -> KUL -> MEL), I rang the restaurant to confirm with them again and they said, “we have no records of such reservation!”. By this stage, imagine my fury and anger with them as we were about to fly down to Singapore in 2 about days time. After a very much well deserved choice of words and heated exchange with them, they confirmed our booking (which was in two days) and everything was locked in. By this stage, I was the least impressed person, and if it wasn’t because The Boy and Madam Mummy were so looking forward to this meal, I would have cancelled the whole thing. I’m not sure what else my contact in Singapore did, but when we arrived for our lunch that day, I was set to be unimpressed and completely moody with their rubbish treatment so far. And folks, this is how the story turns from bad to good, from ugly to beautiful. We arrived at our 12pm lunch appointment on the dot, and Chef Andre himself was just finishing briefing his staff and turned to open the front door into the restaurant for us. Once our booking was confirmed and checked, it turns out that we were booked for the chef’s table! Chef Andre and his front of house team brought us to our exclusive table and greeted each of us professionally and cordially. My cold black heart started to thaw. 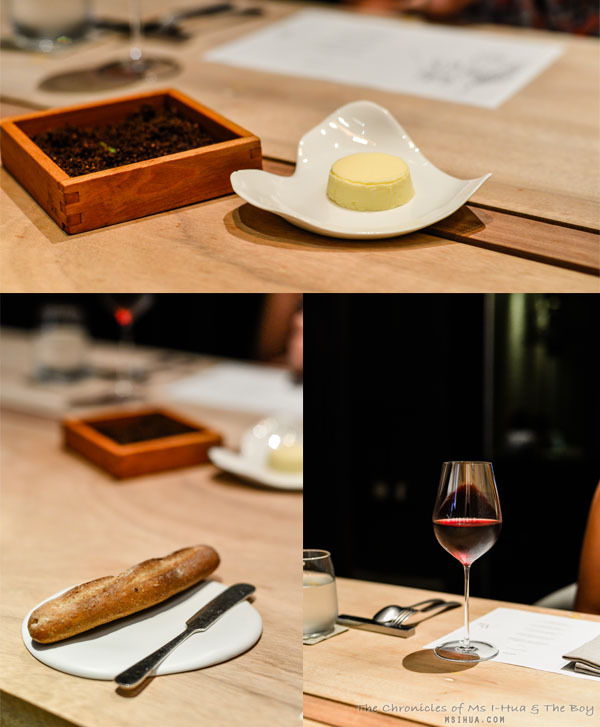 As it was lunch, we three opted for the Lunch Tasting Menu option at Singapore Dollars $128++ per person. 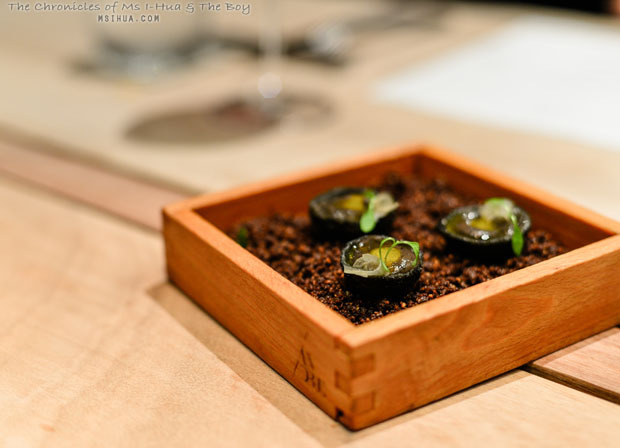 As an amuse bouche, Chef Andre presented his recreation of the Century Eggs in a deconstructed style with bread crumbs, truffle crumbs, truffle jelly, ginger and edible chocolate soil. Immediately mind blown. Even Madam Mummy was like, “This is good!” (that’s saying a lot for an Asian Tiger Mum, guys). When the dish arrived, I swear all I saw was an eel attacking the food. It wasn’t until I had stared at the dish long enough to then realise that what I thought was a baby eel was in fact the chargrilled asparagus! Oh my! My favourite dish of the meal was this beautiful dish. The waiter couldn’t go on enough about the certification of this onion. Yup, the onion. This highly acclaimed Cevenne Onion is certified A.O.C., otherwise known as Appellation d’origine contrôlée. To you and I, this means controlled destination of origin and is a certification given to certain French geographical indications (i.e. wines, cheeses, butters, etc.) and also why we can no longer call sparkling wine Champagne, unless they hail from that region. So this Cevenne onion was a pretty big deal. Thank goodness it was ultra delicious and was a dish that made the entire fracas of getting the reservation worthwhile. What is an onion but an onion you may ask? I’ll have you taste the dish yourself to come to the understanding. The next dish was a Cured Striped Jack a la Plancha, Horseradish Potage, Leek Oil, Caramelised Cauliflower, Apple Vinaigrette. We loved how well the fish was cooked. 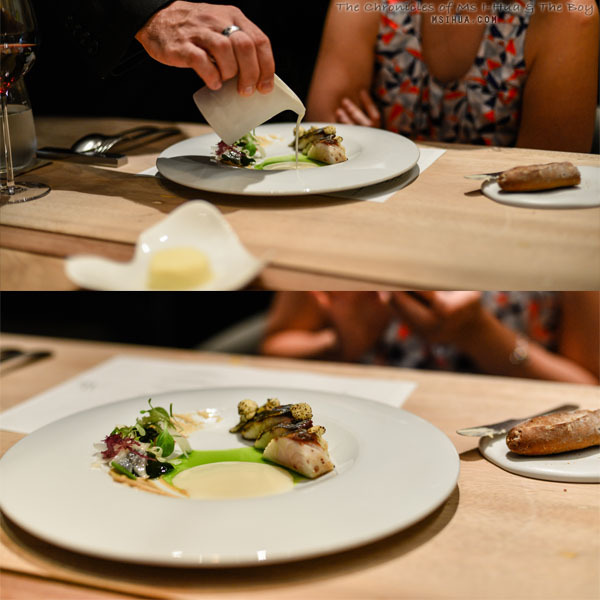 The balance of flavours, was amazing and we couldn’t get over how green the leek oil was. I think The Boy was in fine dining heaven here as he discovered each and every texture on the plate and tried to distinguish the various methods of how they came to being on his plate. Definitely, this was his favourite dish of the visit. 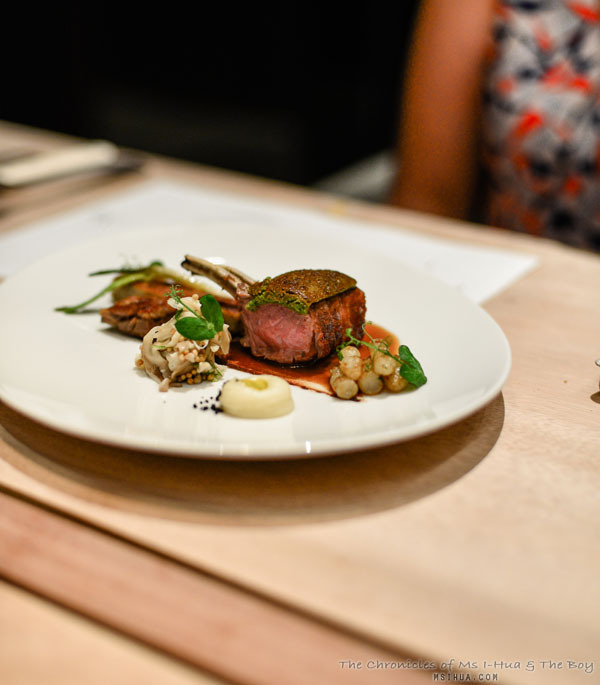 The final savoury course was delicious and I couldn’t be happier that it was a rack of lamb! I do so love the baby sheep, especially when it’s cooked so right and tenderly. With this version of lamb at Andre’s, I particularly loved the technique of the pistachio crusted lamb, though not a new technique, but it’s not something that is usually done in a fine-dining restaurant. 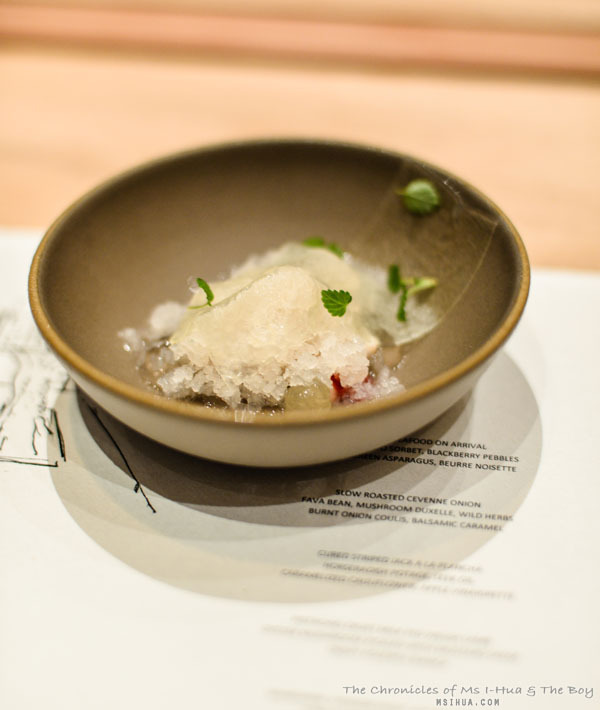 A palate cleanser of granita topped with a pressed jelly of mangosteen and watermelon. I am definitely a big supporter of restaurants that utilise local produce and we need to see more Asian restaurants pay homage to the local tropical fruits and produce and not rely so much on western imports. The utilisation of the mangosteen was definitely much appreciated by us! Dessert, though a light option, was heavier than I had imagined but was a perfect end to a beautifully arranged meal. 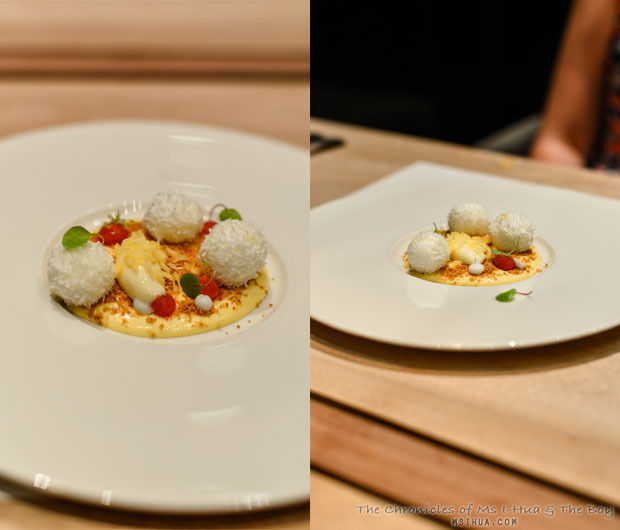 The flow of flavours, textures from each of the dishes were well thought and executed. 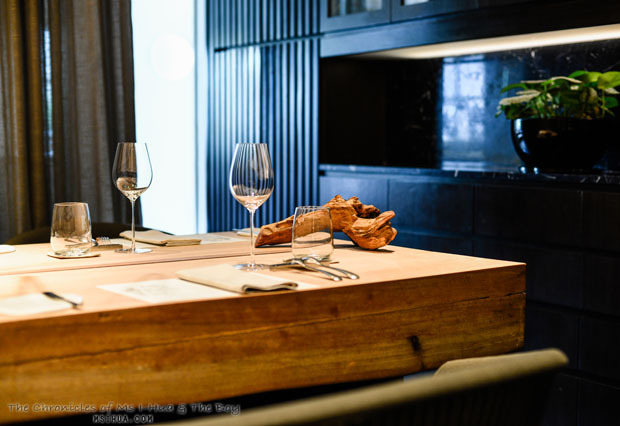 As we finished our meal, I was pleasantly surprised to note that my entire demeanour and negative thoughts on the restaurant had completely turned around and I couldn’t help but feel a little in love with our dining experience. Chef Andre came out to bade us farewell before hurrying back into his busy kitchen behind the tinted glass panes and I was truly impressed. It’s experiences like these that often make me think about choices and how closely tied our choices are to regrets. If I had let the negative experiences from the reservation get to me, we would never have experienced the high quality of food and execution from this restaurant and our lives would not be better for it. 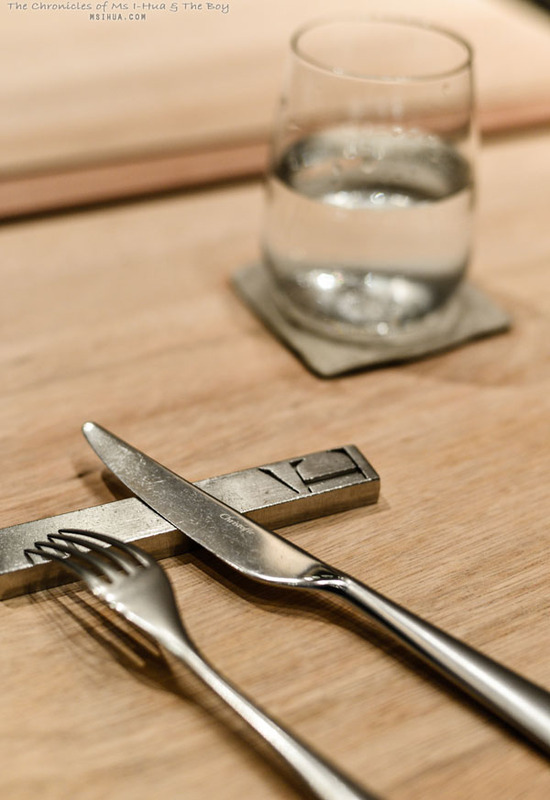 I can even forgive the bad first impression with the amazing food that was brought to our table and palates, which shows you how good the food was! Sorry to hear about the less then straightforward reservation system. I would have been just as pissed off too! 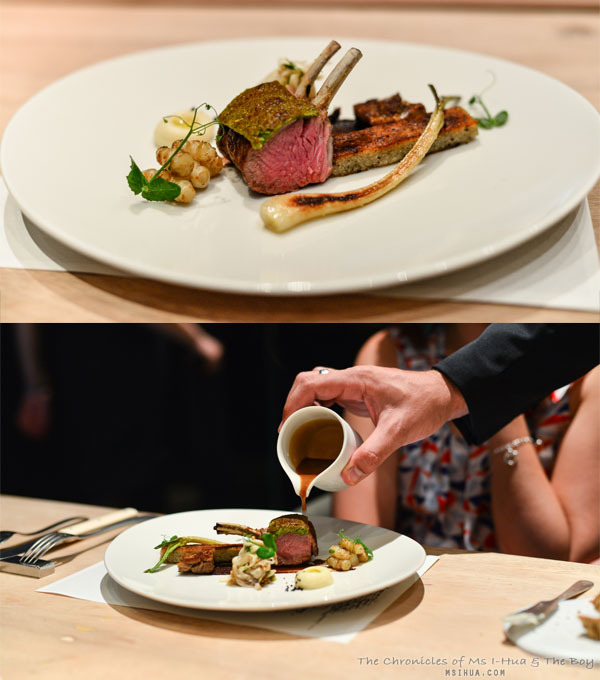 Glad it worked out in the end – food looks amazing! Andre has been on my ‘to do’ list for a long time and I’m keen to finally give it a go the next time I’m in Singapore – how much did you pay per head? Haha — ‘my cold black heart.’ I think I’d feel the same way were I dicked around with the reservation like you were. Glad it all turned out yum! What a bizarre booking situation. I have had a few problems with online bookings in Melbourne but your story is ridiculous. The food does look magnificent. I’m so glad it turned out to be such a good experience. I, for one, appreciate the timing of this post immensely … now I just need to work out if I can justify fitting this into an 8-hour layover 🙂 (and if I can be bothered with the booking process, although it does look like it was worth it in the end). I’m just jumping on to try to make a reservation!!! I’m leaving on Sat! I visited Andre a couple of months ago for dinner, I agree it was vary good and I had no problems with the booking system. The only criticism I have was the element of surprise was lacking since we saw what was about to be served to us about 15-20 minutes in advance including the whole spiel at the table next to us. 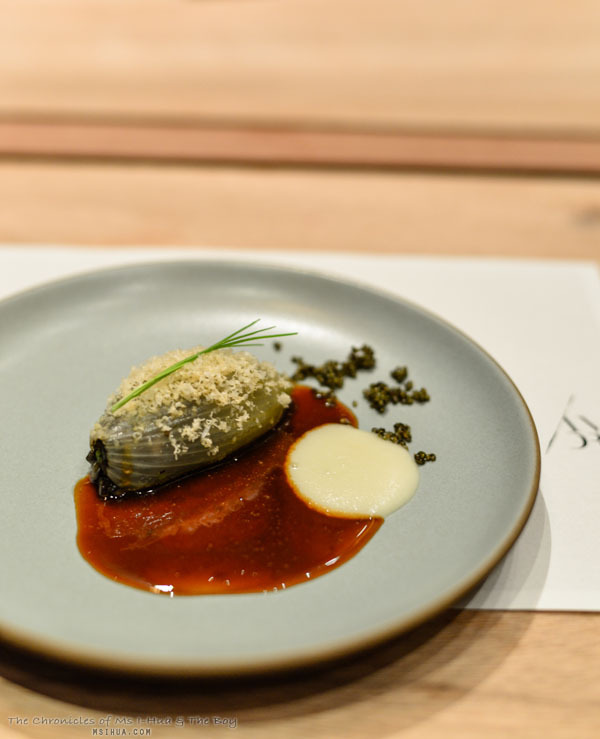 My would estimate it in the two Michelin star range, quite expensive but it is Singapore. Glad I went, but doubt I would go back given the choices available in Singapore.